Britain's Got Talent may have its critics, but never let it be said that it's predictable. 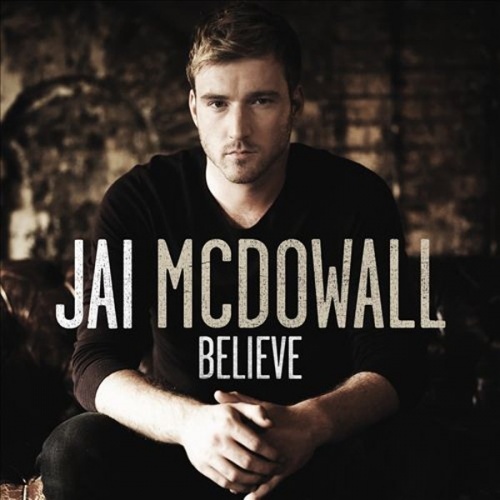 After street dance outfit Diversity ignored the script by triumphing over Susan Boyle in the 2009 final, 25-year-old Ayrshire-born singer Jai McDowall pipped bookies' favorite Ronan Parke to become the surprise winner of its 2011 fifth series. Perhaps an indication of how unprepared Syco was to suddenly have a Scottish classical pop vocalist who looks like he'd be more at home at a heavy metal festival than a mainstream TV variety show on their books, his debut album, Believe, arrives with just two lucrative Christmas shopping weeks to spare. In the end, it's difficult to see what took so long. Its ten tracks, all of which are cover versions, may have been selected from a slightly more rock-oriented repertoire, but its polished, orchestral arrangements still bear all the hallmarks of Steve Mac's other easy listening productions (Susan Boyle, Il Divo). Indeed, other than their obvious contrasting vocal styles, there's little to differentiate McDowall's theatrical treatment of Coldplay's "Fix You" from that which appeared on runner-up Parke's self-titled debut, while Evanescence's "Bring Me to Life" and Josh Groban's "To Where You Are" sound exactly the same as his BGT performances of the two songs. However, there are more encouraging signs which suggest he might be able to turn around the slight apathy he's faced since winning the show. "With or Without You" is a stirring choral rendition of the U2 classic in collaboration with Scala & Kolacny Bros (whose version recently appeared in the Downton Abbey trailer), "How You Remind Me" successfully turns Nickelback's grunge-lite anthem into an emotive torch song, and while an acoustic interpretation of Green Day's "Boulevard of Broken Dreams" and a bombastic take on Elbow's "One Day Like This" don't quite convince, they're at least outside the same old catalog of songs given to the likes of Paul Potts. Believe sounds pretty much exactly like you'd expect it to, but it's still a solid, if unspectacular, foundation on which to build upon, and suggests Parke may not have been robbed after all.